The Rolex Sydney Hobart Yacht Race (RSHYR) is an iconic event on the Australian sporting calendar but this year, more than ever, the blue water classic will have a strong international flavour, largely thanks to the Clipper Race. Of the 28 nationalities represented in the RSHYR, 26 of them can be found in the Clipper Race crew. 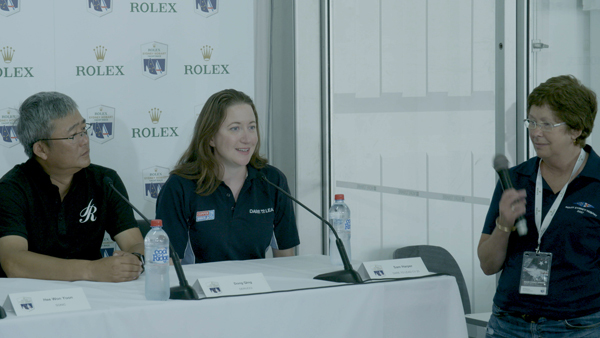 To highlight the diversity of sailors taking part in the 650 nautical mile dash to Hobart, a selection of the internationals taking part in the RSHYR gathered together to speak to the media at the Race Village at the Cruising Yacht Club of Australia, including Clipper Race crew Gerardo ‘Jerry’ Injoque and Samantha Harper. Sam Harper, a RTW crew member onboard Dare To Lead, said: “Prior to joining the race I didn’t really have a sailing background but part of the appeal was that the Clipper Race opens up sailing to novices, who may not have had many opportunities to experience the sport. Jerry, who is circumnavigating the world on board Garmin, is just the second Peruvian to take part in the 73 editions of the RSHYR. Jerry, like Sam, has already raced some 17,000 nautical miles on board Garmin since the Clipper 2017-18 Race began in Liverpool, UK, in August. With that sort of warmup, Jerry says: “I am extremely excited. I was just talking to my family and friends in Peru back home and when I explained what I was about to do on the 26th December, I said ‘it’s like if you play soccer with your friends every weekend and then you are invited to play with Barcelona football club one match against Real Madrid’. I think for all Clipper Race crew it is more than just the cherry on the cake, it’s the icing as well to be able to take part in this iconic race. 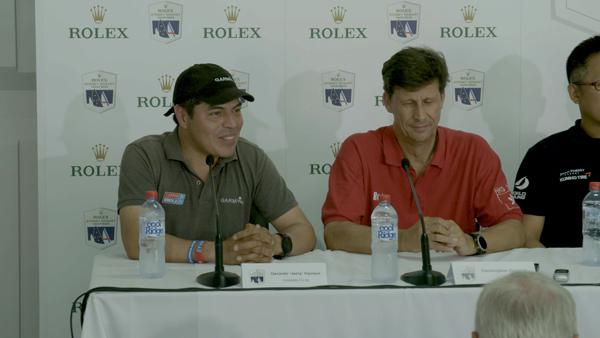 Also taking part in the Internationals Press Day at the RSHYR Village were German yachtsman Christopher Opielok from Rockall, Andrew Rho on the South Korean Sonic, and Chinese sailor Dong Qing of Derucci. The RSHYR, which doubles as Race 5 of the Clipper 2017-18 Race, will begin on Boxing Day in Sydney Harbour. This is the third time the Clipper Race fleet has taken part in the 650 nautical mile race to Hobart, and you will be able to follow the teams throughout the race on the Race Viewer.